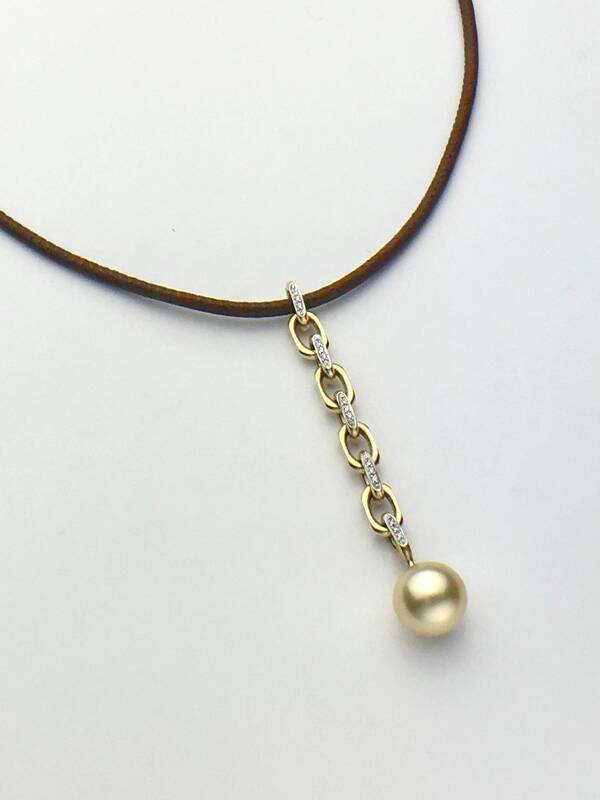 Stunning and casually-elegant necklace crafted from re-purposed 14K yellow gold chain, accented with .15 ctw Diamonds, and one beautifully lustrous fine quality 12mm Natural Golden South Sea Pearl affixed to the bottom. 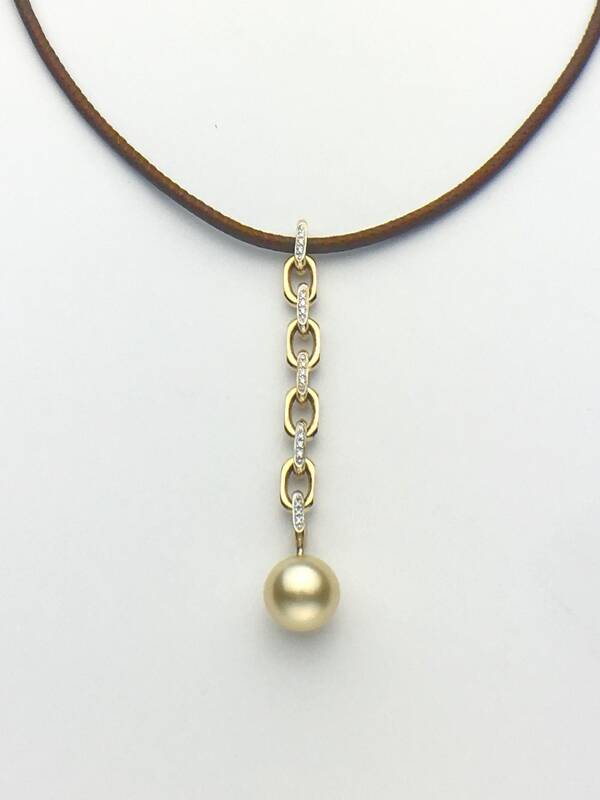 Necklace is suspended from a soft, hand-stitched brown Italian leather neckcord with 14K yg clasp. Cord length is 16.5”. Pendant measures approx. 6.5 cm. total length. Comes with beautiful presentation box.